Lexington Restaurant Week returns July 26 to August 4. Local restaurants in the Bluegrass prepare pre-fixe multi-course dinners. For menus and participating restaurants visit the Lexington Restaurant Week website or Facebook page. Kentucky American Water hosts Puddles’ WaterFest on August 2 from 4:30 – 7:30 pm. This family-friendly and educational evening provides an up-close look at the journey of water from river to tap. Man o’ War Harley-Davidson presents an Iron & Ink Bike Night on August 2 from 6-9 pm. Roll n Smoke food truck will be there, along with live music, prizes, and more. 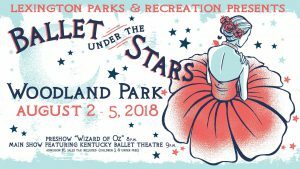 The 29th annual Ballet Under the Stars is August 2 through 5. The event begins with a pre-show youth production at 8 pm, and the main show featuring professional dancers from Kentucky Ballet Theatre begins at 9 pm. The Lexington Theatre Company performs the production of A Chorus Line at the Lexington Opera House, August 2 through 5. On August 3, Disney movie “Christopher Robin,” a live-action re-introduction of all the Winnie the Pooh characters, releases in movie theaters nationwide. 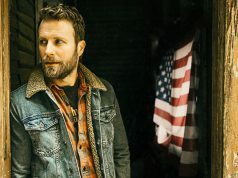 Montgomery Gentry is coming to Manchester Music Hall on August 3 at 7 pm. Green House17 is opening the farm for an August U-Pick Day on August 4 from 10 am to 1 pm. Dozens of seasonal flower varieties are available for picking. Enjoy kids activities, music, and celebrate the Kentucky River water source at Kentucky American Water Puddles’ Party by the River. 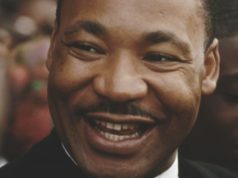 The party is from noon to 4 pm at Proud Mary BBQ. Make-A-Cake Cupcake Bar, located on National Ave, is hosting their Grand Opening on August 5 at 1 pm. Harmony Day Montessori School is hosting an Open House on Sunday, August 5 from 4:30 to 6 pm. This will be an opportunity to speak with staff, current families and learn about the Harmony Day School programs. McLain Family Band is playing Southland Jamboree on August 6 at MoonDance Amphitheater, starting at 7 pm. Housewarmings on Palumbo is hosting a cooking class with Salt Rox owner John Tucker. 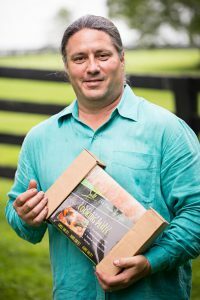 Learn how the Salt Rox will enhance and season your food cooked on the Big Green Egg (Or your grill, stove top or oven) You’ll get to sample food, participate in a raffle, and receive dicounted specialty products. Tony Hinchcliffe is at Comedy Off Broadway on August 9 through the 11. Tony is a stand-up comedian who is considered a fresh new evolution to the now immensely popular roasting scene. August 9 is Booklover’s Day and Half Price Books in Hamburg is celebrating with exclusive stickers. “The Meg,” an adaptation of Steve Alten’s novel about a 75-foot-long prehistoric shark known as the Megalodon, releases in movie theaters on August 10. “Slender Man,” a horror thriller releases in theaters on August 10. Based on the lore/myth of a tall, thin, horrifying figure that haunts children. The Fayette County Farm Bureau hosts a Field to Table dinner to celebrate Kentucky farmers on August 10. The event features a five-course progressive dinner, and over 20 of central Kentucky’s best chefs and makers. Wannabeatles are playing Lakeside Live at Lexington Green on August 10 at 7 pm. On August 10, the Haymaker Foundation is transferring ownership of MoonDance Amphitheater over to the city of Lexington. The official “Handing Over the Key” ceremony starts at 7 pm. A Midsummer Night’s Run is Saturday, August 11. Runners and walkers will take to the streets of downtown Lexington for a night of entertainment and activities starting at 4:30 pm. Shaker Village of Pleasant Hill hosts a Local Farm Feast on August 11. Celebrate an evening of collaboration between chef and farmer with a four-course garden supper at 6:30 pm. The 11th Annual Lexus Smooth Jazz Fest is August 11 at the Kentucky Horse Park. The all star jazz showcase features music from Euge Groove & Avery Sunshine. On Saturday, August 11 head to Gay Brewer Jr. Golf Course at Picadome for Fairway Flicks to watch “Happy Gilmore.” Pre-movie activities include putting challenges, foot golf, and more. The movie begins at dark. The Twiggenburys are playing Lakeside Live at Lexington Green on August 11 at 7 pm. Housewarmings on Palumbo offers a Basic 101 – Big Green Egg class on August 11. 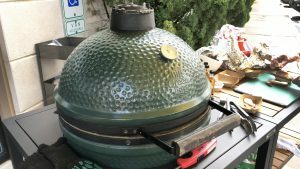 Learn all the tips and tricks for cooking on the Big Green Egg and enjoy some tasty food too. On August 12, Lexington’s Got Talent Comedy Showcase is at Comedy Off Broadway. Raleigh Dailey Quartet is playing at Big Band & Jazz in Ecton Park at 7 pm. The next installment of the CHEW Dinner series visits Thailand by way of Jasmine Rice Thai & Vietnamese Cuisine. Enjoy a three-course dinner with a globally-inspired menu on August 15 at Limestone Hall. Dinner starts at 6 pm. Comedian, Heather Land is at the EKU Center on August 15. The Kentucky State Fair is August 16 through 21 at the Kentucky Exposition Center in Louisville. Join leaders from across the state to make Kentucky’s rural and urban communities safer, healthier, and more prosperous at the KY Bike Walk Summit at Transylvania University. The Chamber Music Festival of Lexington celebrates its 12th season August 16 through 26 with four formal concerts, pop-up events, and a lively cabaret night. Tim Dillon is coming to Comedy Off Broadway on August 16 through 18. Tim Dillon was one of the Top 100 finalists on Season 9 of Last Comic Standing. On August 17, the 39th annual Picnic with the Pops pays tribute to one of the most iconic rock groups in history with “The Music of The Rolling Stones,” performed by The Lexington Philharmonic. August 17 at Keeneland. The 5th Annual Burgers, Bourbon & Beer fundraiser is on August 17 at 7 pm at the Tates Creek Malone’s. All proceeds benefit Arbor Youth Services who serve homeless, runaway and youth who are at risk of being victimized in Central Kentucky. On August 18, head downtown to Cheapside Park for the Cold Brew Coffee Festival. 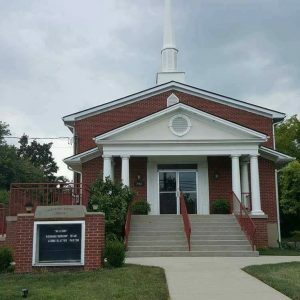 Jim Host of Host Communications is the speaker for the Legends Breakfast at Liberty Faith Fellowship on August 18 at 9 am. 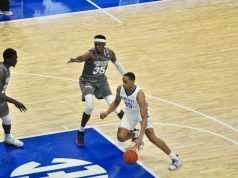 Host is credited by many with the development of the NCAA Final Four radio broadcasts and the expansion of the University of Kentucky’s radio network into the largest in the nation. 43rd annual Woodland Art Fair is August 18 and 19 in Woodland Park. This years fair features over 200 artists, live music, Kentucky food, beer gardens, and family art engagement activities. Sgt Peppers Bike Prom is Saturday, August 18. Join 200+ bicycle riders and participate in prom-themed games and activities. Registration opens at 4 pm and riders depart from the LASC at 5 pm. SPIN will provide bikes for riders who would like to borrow a bike in bike prom. Byron Romanowitz & Jazzberry Jam are playing at Big Band & Jazz in Ecton Park at 7 pm. Jay Pharoah is coming to Comedy Off Broadway on August 24 through 26. Pharoah is a SNL alum and is known for his impressions. Buffalo Trace Distillery hosts Summer Supper – A Farm to Table Feast. Enjoy an evening of hand-crafted cocktails, farm-fresh food, and entertainment on August 24 starting at 6 pm. Building Industry Association of Central Kentucky presents Tour of Remodeled Homes on August 25 and 26. The 14th annual Chevy Chase Street Fair is Saturday, August 25. It’s a block-party-style celebration of the Chevy Chase business district, featuring live music, street food, drinks, vendors and kids activities. Paddle the Kentucky and Dix rivers as sunset falls on August 25. Glow Paddle is a 2-hour guided trip led by Canoe Kentucky and leaves at 7:30 pm from nearby Shaker Village of Pleasant Hill. Suitable for ages 12 and older. 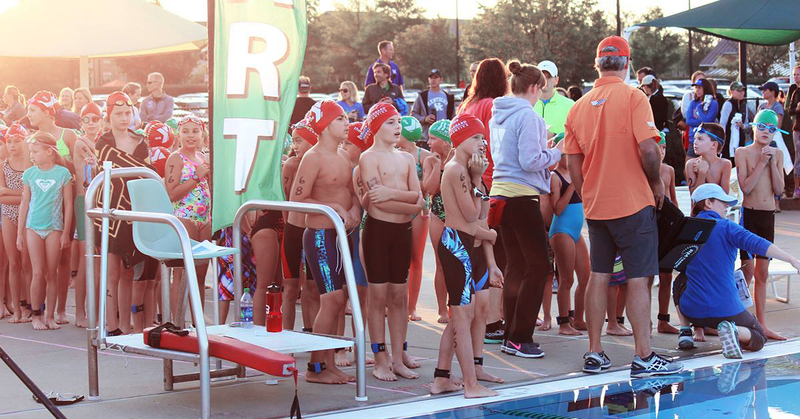 The YMCA Kids Triathlon is Sunday, August 26 at the Beaumont YMCA. 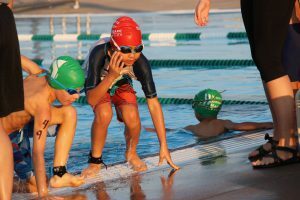 Kids, ages 6-14 are invited to swim, bike and run. 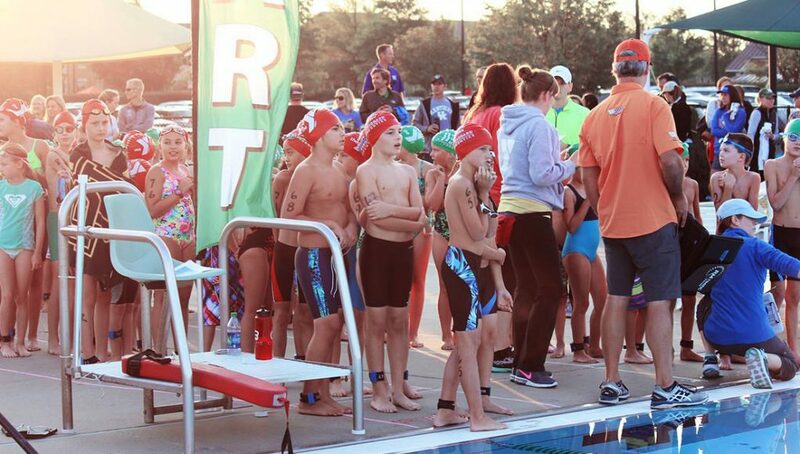 The swim takes place in the Y’s outdoor pool with the bike and run course throughout the nearby neighborhood. Check-in begins at 6 am and the race starts at 7:30 am. Henry Clay’s 3rd Annual Hemp Dinner is August 28 at 5:30 pm. Guests will enjoy gourmet al fresco dining under the Ashland lawn tent, featuring a five course hemp–infused meal prepared by Chef Jeremy Ashby of Azur Restaurant. Miles Osland – Raleigh Dailey Jazztet is playing at Big Band & Jazz in Ecton Park at 7 pm. Red White and Boom is moving to Rupp Arena for 2018, August 31 through September 2. There are reserved seating options, in addition to a general admission pit area. The 45th Annual Kentucky Bash is August 31 at Kroger Field at 6:30 pm. Kick-off football in the Bluegrass with a southern tailgate menu, open bar, live and silent auction, and live entertainment. Talon Winery hosts the first-ever Cabernet Canter Cross Country 5K/10K on August 31 at 6:30 pm. Three Dog Night is coming to the EKU Center for the Arts on September 8 at 7:30 pm. Three Dog Night is celebrating nearly five decades of music. Christ the King hosts Oktoberfest on September 7 and 8. ScareFest returns to Lexington for its 11th year at the Lexington Convention Center, September 14-16. Justin Timberlake is coming to Rupp Arena on September 19. Dwight Yoakam is coming to the EKU Center for the Arts on September 30. Chris Stapleton is coming to Rupp Arena on October 27. This article also appears on page 18 of the August 2018 print edition of Hamburg Journal.